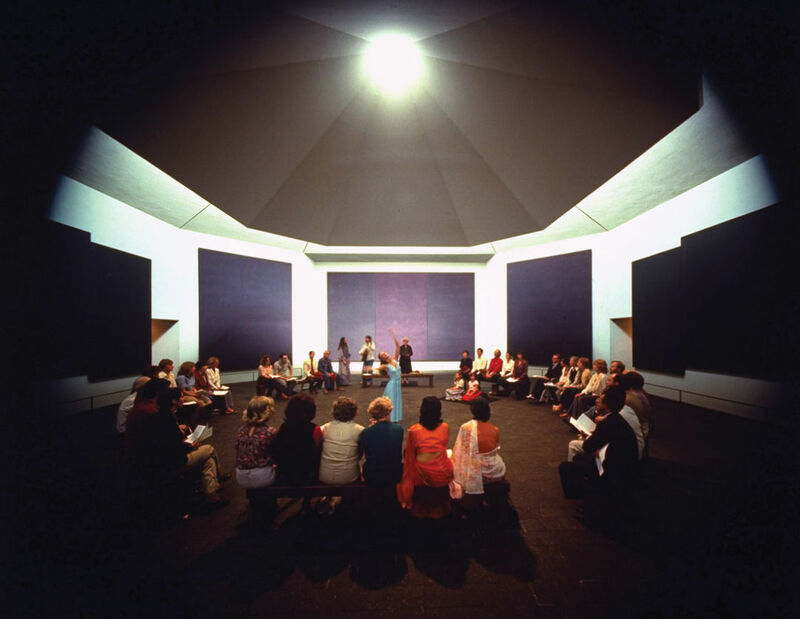 Patrons take in a modern dance performance at the Rothko Chapel, 1979. 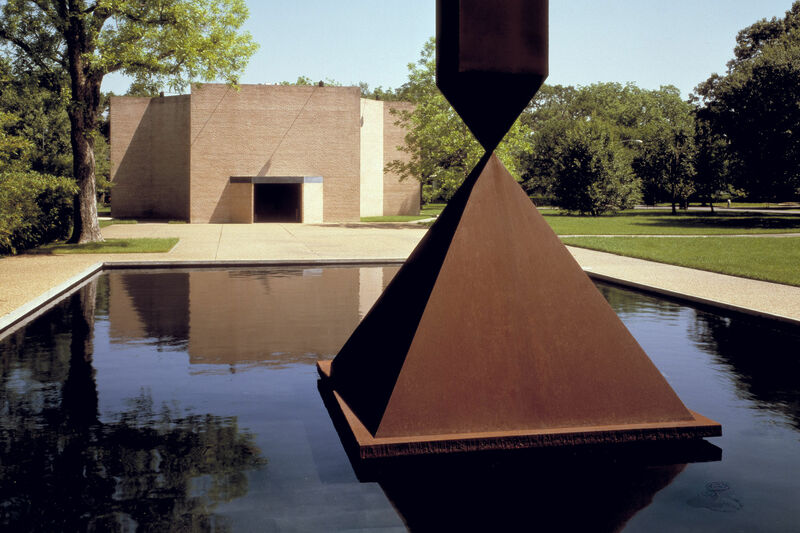 You may have noticed the famous Broken Obelisk that typically stands in the middle of the reflecting pool outside the Rothko Chapel has been missing for several months. For the second time in a decade, the rust-covered steel sculpture—a tribute to civil rights leader Martin Luther King, Jr. first erected in 1971—is currently undergoing restoration. 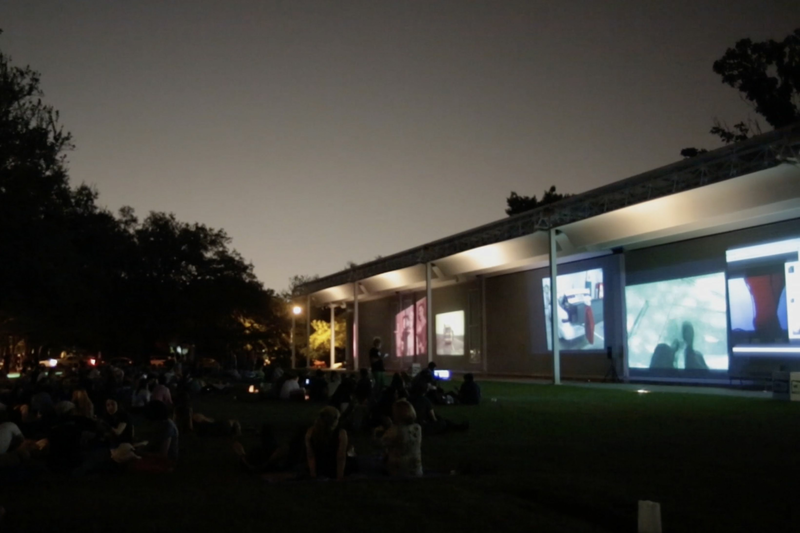 And it's not the only portion of John and Dominique de Menil's legacy that's receiving a refresh. New York City–based firm Architecture Research Office has been chosen to head up renovations to the Rothko Chapel, often cited as one of the world's most significant modern religious spaces. Commissioned by the de Menils and designed by artist Mark Rothko in conjunction with famed architect Philip Johnson, the chapel opened to the public in 1971. The meditative space was created as a permanent home for Rothko's paintings—his work hangs inside the octagonal chapel in the form of three triptychs and five individual panels—but also an ecumenical gathering place for people of all religions, as Houstonian a design as any. 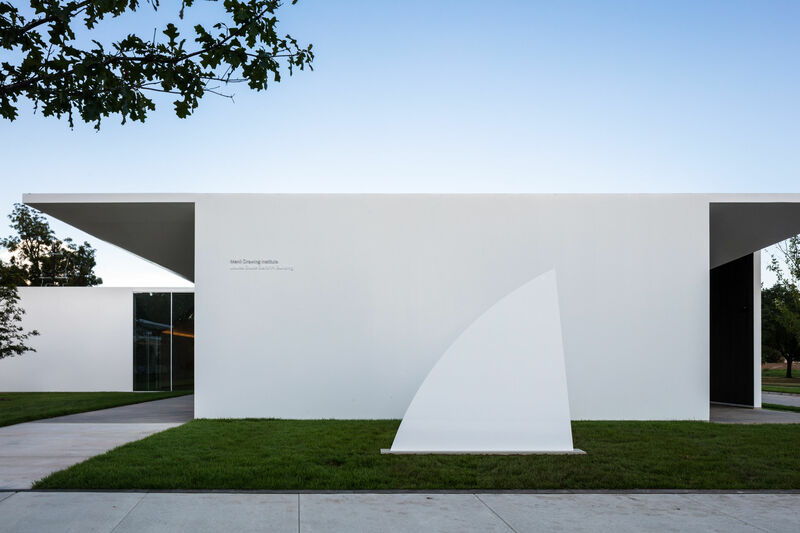 Today, the 45-year-old Rothko Chapel is faced with certain factors of age: the need for an updated HVAC system, better lighting, improved acoustics, a restored skylight, more public space for visitors, and a new entrance. ARO is already renowned for its work on similar projects—check out their redesign of artist Donald Judd's famed New York warehouse at 101 Spring Street—and it's bringing in other big names for the project, including D.C.-based George Sexton Associates, known for creating lighting wizardry in museums across the nation. 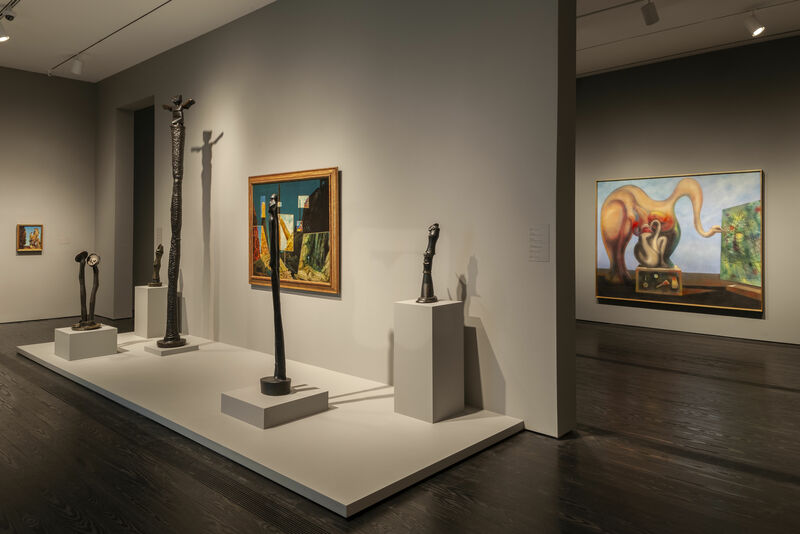 ARO is also faced with the task of creating a new master plan for the Rothko Chapel campus, which draws over 90,000 visitors each year and includes both the Broken Obelisk and reflecting pool. But while there's no word yet on when we can expect this facelift to be completed, the obelisk itself will be back in place this coming January, with a rededication ceremony to mark its return on the same day as the Rothko's annual birthday celebration of Dr. King.